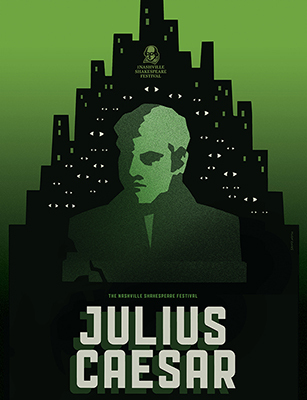 The Nashville Shakespeare Festival’s 2019 Winter production is Shakespeare’s political thriller, Julius Caesar, directed by Santiago Sosa. This edgy, fast-paced production will tell the story of the assassination of Rome’s charismatic dictator Julius Caesar in a compelling, Roman-noir re-imagining, where conspiracy can only exist in the shadows and dark corners of the city. The National Endowment for the Arts in partnership with Arts Midwest presents Shakespeare in American Communities. The Nashville Shakespeare Festival is one of 40 professional theater companies selected to participate in bringing the finest productions of Shakespeare to middle- and high-school students in communities across the United States.